The roots of the game of basketball can be traced back to a gentleman by the name of Dr. James Naismith. During his early school days, Naismith would play a game called duck on a rock whereby the child would endeavor to knock the duck off the top of the stone with a toss of another rock. Later on, Naismith would go on to McGill University in Montreal and would later become McGill University’s Athletic Director. 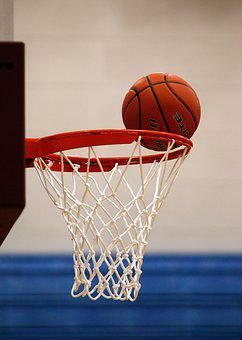 He would then proceed to YMCA Training School in Springfield, Massachusetts and in 1891, the sport of basketball began. Given the cold Massachusetts winters, Naismith had to get a recreational activity that could be performed indoors and he preferred a game that would develop ability and one which wasn’t exclusively relying on strength. The first game was played with two peach baskets for goals and a soccer ball. Further to his credit, Naismith became a medical doctor specializing in sports physiology and a Presbyterian minister. Naismith was able to see his beloved sport of basketball, gain approval in a lot of countries through the YMCA since 1893. At the same time, the game of basketball has been brought forth in the Berlin Olympics in 1936. As we talk, the sport of basketball has become a highly popular professional sport.